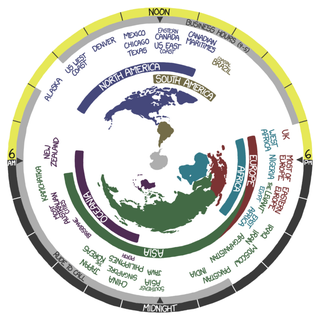 Tonight's XKCD does a great job of clearly outlining what time it is around the globe. Obviously rough, but also an easy thing to check before making that phone call to somebody an ocean away. The comic is even synced up with real time.